The special easy care cleaning cloths are an effective way of removing algae without scratching your aquarium. Cleaning clothes are double sided with a smooth side for removing light algae and rougher side for any stubborn algae. 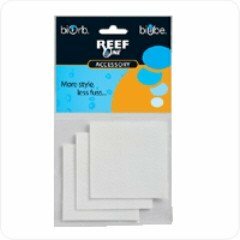 A perfect pack to keep in your aquarium tool kit. Use our special cleaning cloths to effectively remove algae without scratching. 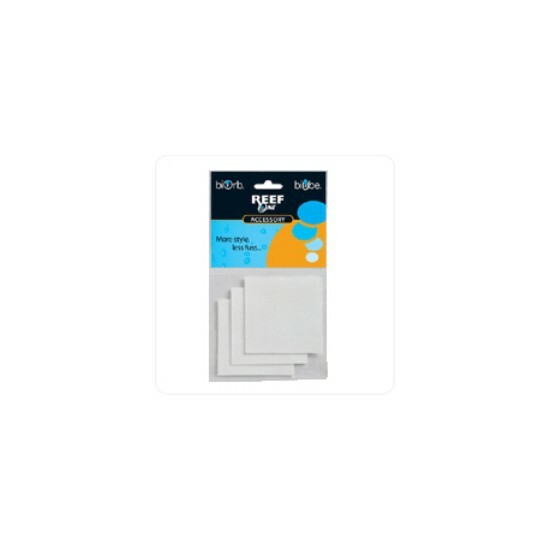 Available in packs of three these easy care cleaning cloths have a smooth side for regular cleaning and a rough side for really tough algae marks. The rough side can also be used to remove limescale build up from the base of the light unit or on the heater. Cleaning pads should only be used on the inside of the aquarium. Reef One do not recommend using other algae pads on the biOrb as these may scratch the acrylic. The Easy Care aquarium Cleaner Pads for easy removal of limescale and algae without scratching.